Just as the picture book narrative offers a meaningful context for learning language concepts, structures and vocabulary; so, also, picture book art can provide a rich teaching tool for presenting the basic elements of art – line, shape, form, color and texture. Picture book illustrations are often the child’s first exposure to art. Since story and art work together in the picture book, the art of a favorite story can be very powerful, evoking childhood memories well into our adult lives. Immersed in a story, a child can ponder picture book art with time-defying focus and concentration. This sets the the stage for meaningful lessons on the elements of art. Here are 3 tried and true ideas for using fictional picture books as examples in the children’s house art curriculum. Of course, this is not meant to diminish their potential for use at all levels of art education – primary and beyond. If you are using picture book art in your art curriculum, at any level, please share an idea with us in the comments section. 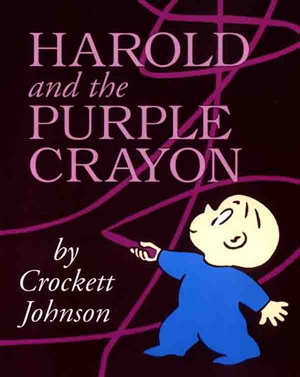 Harold, is a curious boy who, with his purple crayon, has the power to create a world of his own simply by drawing it. He wants to go for a walk in the moonlight, but there is no moon, so he draws one. He has nowhere to walk, so he draws a path. He has many adventures looking for his room, and in the end he draws his own house and bed and goes to sleep. This charming poem about a loving mother cow and her young calf is illustrated with colorful plasticine. 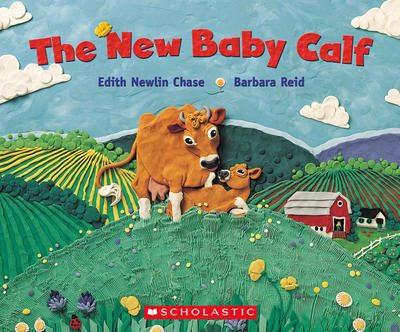 Barbara Reid is a world renowned plasticine-relief artist, and The New Baby Calf was her first book in her trademark style. 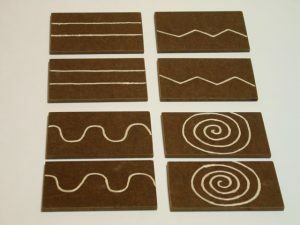 The effects the artist has produced with simple modelling clay are very unique. 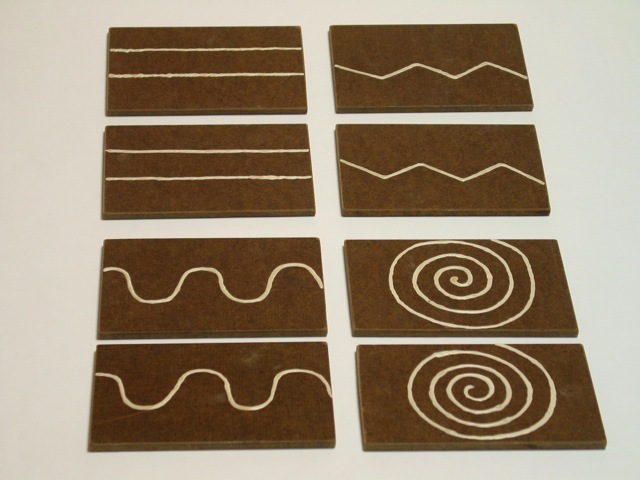 The lines and details in the clay will be a strong point of interest to children. 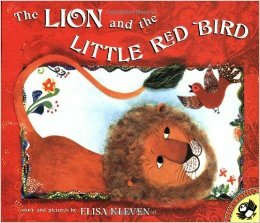 A little bird and a lion are inexplicably happy when they’re together. The bird loves the sight of the lion’s tail, which changes color daily. When the lion brings the bird into his cave, she understands the changes; the lion uses his tail as a paint brush for creating beautiful murals. The bird sings her happiest song for the lion as their friendship deepens. Kleven’s collages incorporate pastels, ink, paper, and wool. Their beautiful colors, surprising textures, and striking details give emotion and meaning to the story. She is especially successful in depicting the lion’s gentleness and in suggesting the feelings that bond these two, which provides the power behind the story and fuel for readers’ interest. To keep picture books clean in the art area, you may want to establish a “Ponder the art table” with a book basket or accessible shelf.